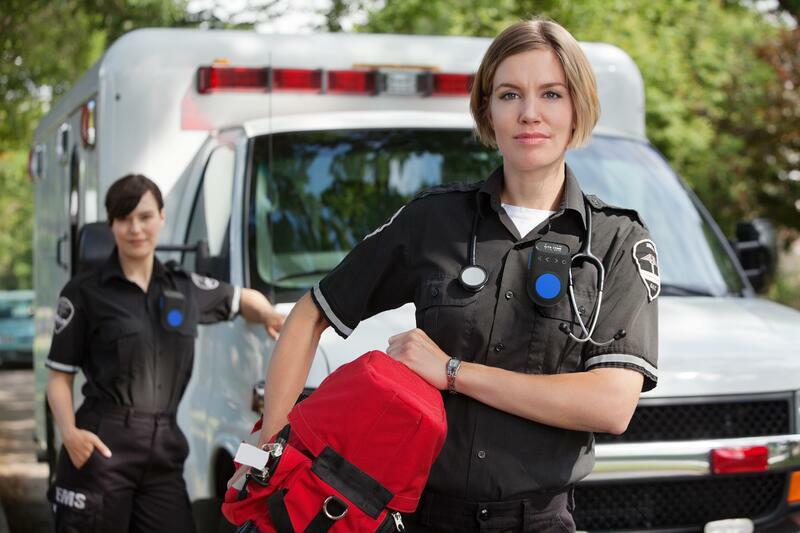 Orion Sync™ equips your teams with real-time, heads-up communication over LTE plus superpowers like instant translation, SOS workflows, and more. Orion Sync is a push-to-talk, wearable LTE device for organizations of any size. Keep your teams heads-up and productive; collaborate efficiently and effectively. Take the power of your voice further. Improve team communication and seamlessly incorporate data-driven workflows using voice bots. Orion Sync works anywhere, so you can keep your teams connected over any distance. Orion Sync offers real-time heads-up communication: create groups for your teams to stay connected, with no limit on how many people can communicate and how many groups you create. 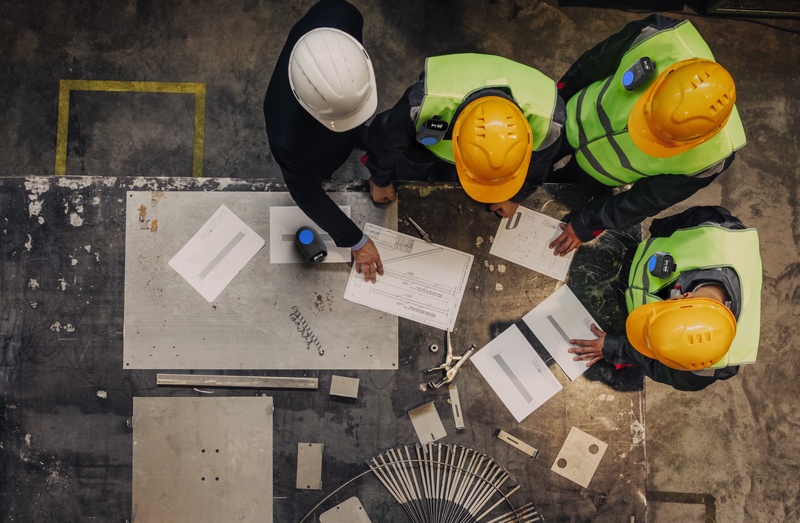 Orion Sync works over any distance using LTE or Wi-Fi, so your teams connect anywhere. Keep your teams 100% focused on voice communication with this dedicated connected voice device. Orion Sync eliminates distractions from other devices and is built with strong encryption for secure communications. Enable your team with superpowers by automating tasks with powerful voice bots, improving safety with SOS workflows, and speeding up multilingual teams with language translation. 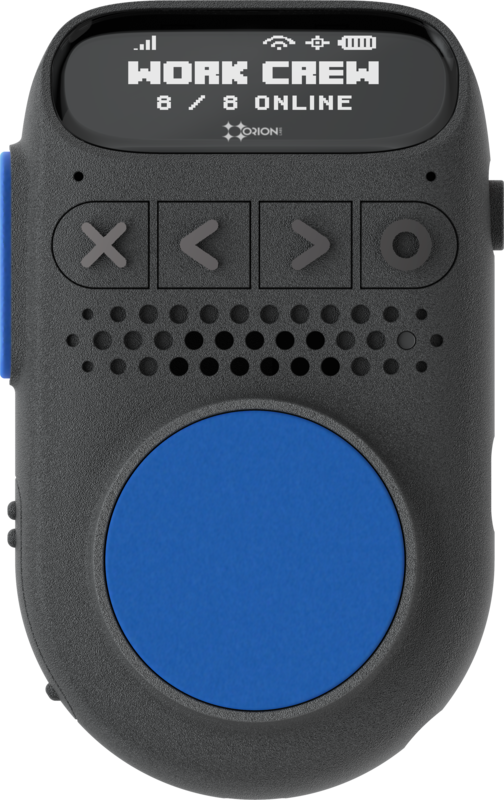 Orion Sync’s voice action button increases worker focus with its simple voice control. Orion Sync is rugged and durable to support those who are at the front lines of their industries. At only 125 grams, Orion Sync is light enough to be worn on shirt or jacket collars or shirt pockets, instead of belts or comms vests. 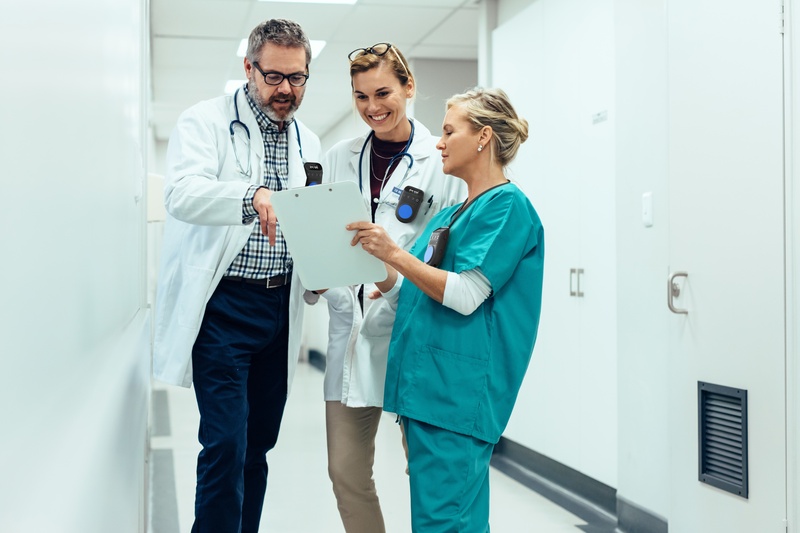 Healthcare, hospitality, construction, and dispatch-related industries also benefit from this all-in-one connected voice device that keeps teams heads-up and productive. Orion Sync will be available soon. To learn more and order Orion Sync for your business, contact us by filling out the form below.